I never felt so eager to visit the Turf Club. I don't mean the one at Kranji swarmed by punters on weekends but the former Turf Club at Bukit Timah - now rebranded Turf City. This was a heritage landmark in no hurry for me. 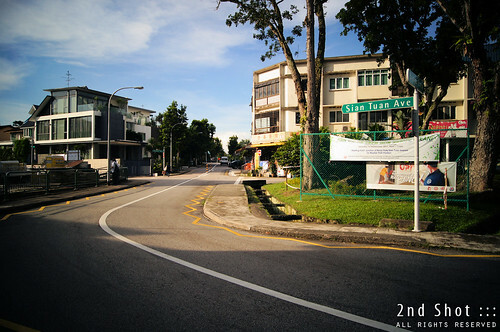 I had this impression tucked inside a forested part of Bukit Timah and invisible from Dunearn Rd, it was inaccessible (I think cars enter via Turf Club Rd) and whatever scant knowledge I had of it did not interest me as much. My reasons for procrastinating are therefore, quite valid. 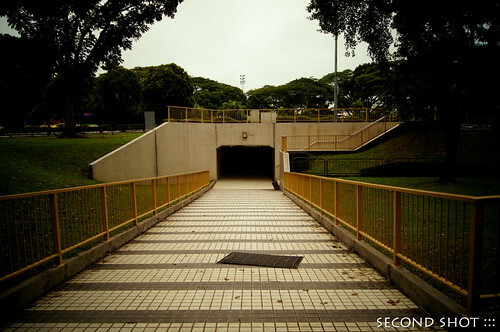 Thanks to Raymond Goh who blogged about it, who in turn knew its existence from his tour participants, we now know of a surviving private burial ground in Bukit Timah. Unlike the one at Fifth Avenue which I just blogged, this one at Sian Tuan Ave actually has the tomb still intact!